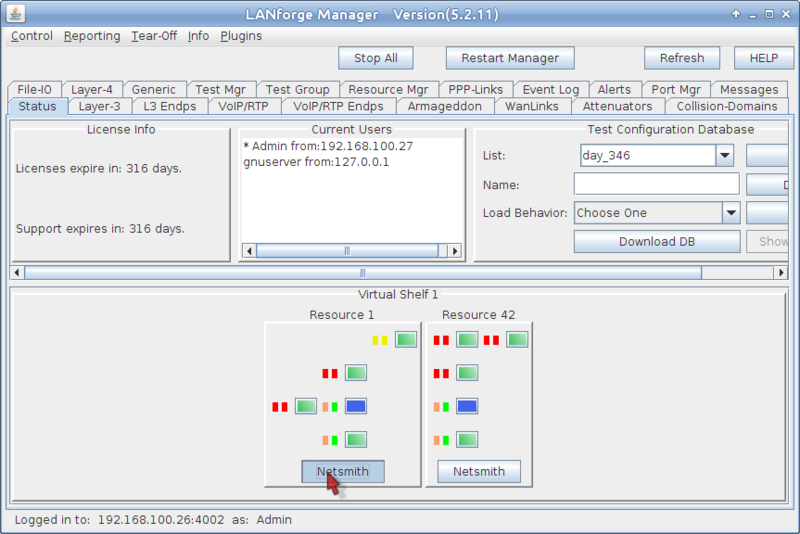 Goal: Configure LANforge CT523 or similar with as a virtual access point with access to an ethernet network. 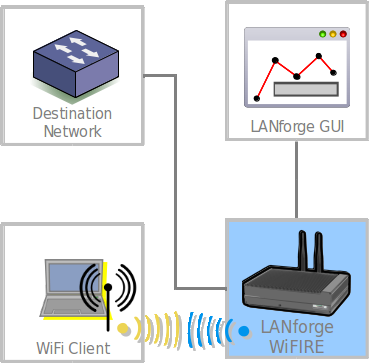 LANforge WiFi systems can be configured as wireless access points that are gateways to wired networks where the wired network is a separate broadcast domain. Click OK to commit changes. 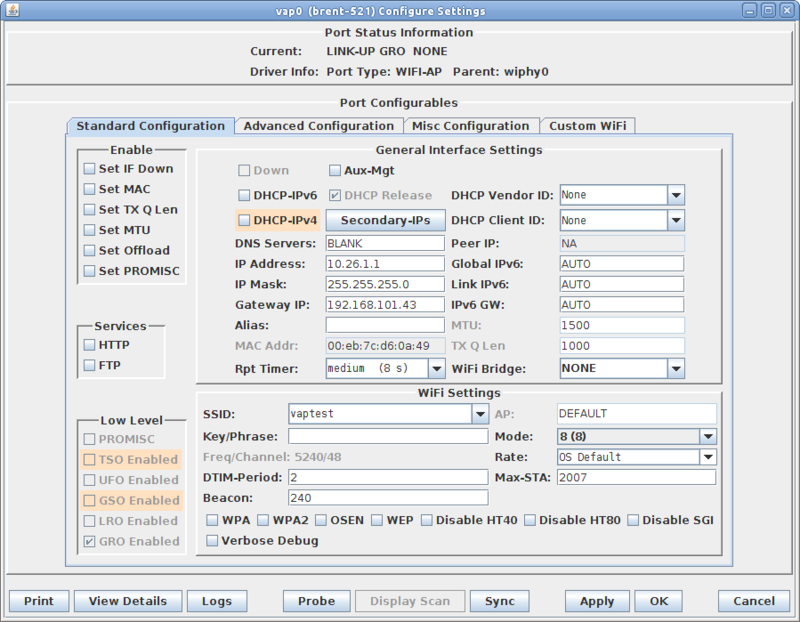 NOTE: It is also possible to assign NAT to the outbound gateway port. 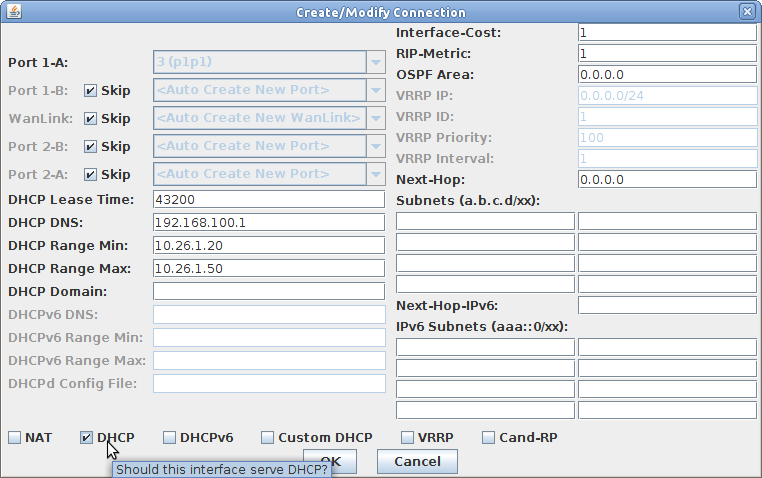 Click Apply in the Netsmith window. 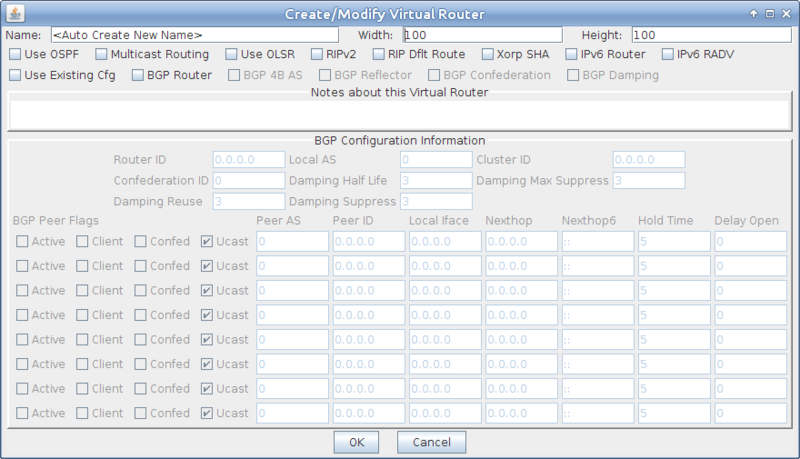 Create a router using default settings: click OK. 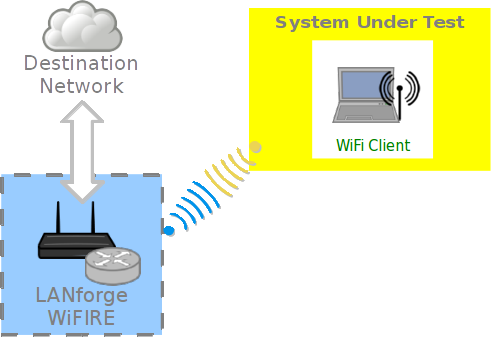 NOTE: To test this setup, you could use a laptop with WiFi or a desktop system with a USB WiFi dongle to associate with the Virtual AP. If you have a second radio in your LANforge CT523 you could create a virtual station on one of those extra radios, as well.